Have you ever been out talking with someone and knew there was a perfect Havamal quote for the situation but you just couldn’t remember it exactly? Ever been inspired out in nature and felt the urge to read the words of Odin? If so, the Pocket Havamal is for you! 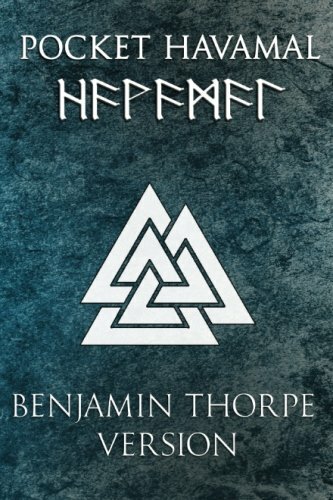 This small book includes the entire Benjamin Thorpe translation of the Havamal or The Sayings of the High One.